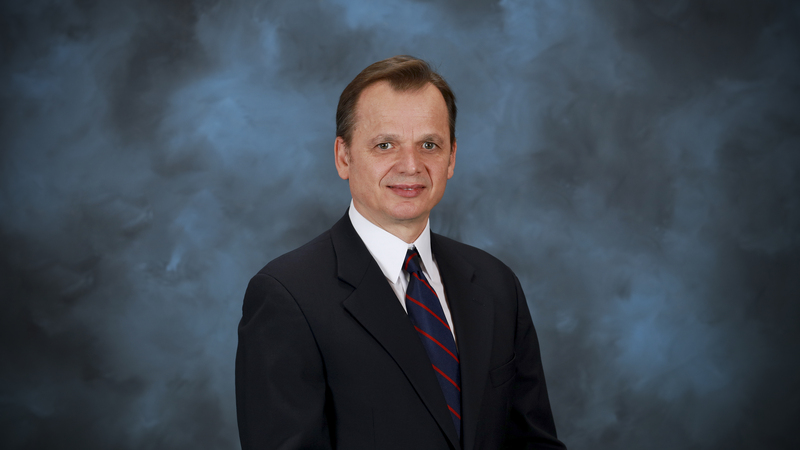 Oak Ridge National Laboratory researcher Panos Datskos has been elected fellow of SPIE. OAK RIDGE, Tenn., May 14, 2018 – Panos Datskos, a researcher at the Department of Energy's Oak Ridge National Laboratory, has been elected fellow of SPIE for his work in sensor and nanomaterials research. SPIE, the international society for optics and photonics, cited Datskos' technical accomplishments in scientific research in photonics that involves the physics of microelectromechanical/nano-electromechanical systems (MEMS/NEMS), nanomaterials, nanostructured surfaces, the development of physical and chemical MEMS/NEMS sensors using microcantilevers, uncooled MEMS infrared detectors, and microcalorimetric spectroscopy for detection of chemicals and explosives. Datskos, who works in ORNL's Electrical and Electronics Systems Research Division, has served on a Department of Homeland Security explosives consortium to develop a technology strategy on explosives detection in aviation security and mass transit and represents DOE in the field of MEMS and nanomaterials. He received SPIE's Eric A. Lehrfeld Award in 2017 for contributions to homeland security and has received several R&D 100 awards.